Celebrations all round! The King David Panel has been shortlisted for the Art Fund's work of the year. 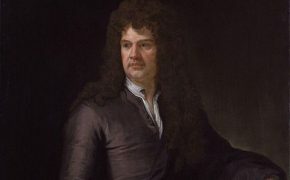 Fairfax House saves Grinling Gibbons’ ‘King David’ masterpiece, his first-known, made-in-York carving, and secures it for York, Yorkshire and the nation. In March 2017, Fairfax House mounted a major campaign and fund-raising appeal to save this precious work of art from international export and sale. In just a few short months, thanks to funding from grant-givers, trusts and societies, and the generosity of many individual donors, we are delighted to announce that the £300,000, needed to give the King David panel a permanent home at Fairfax House and ensure permanent public access to it in its place of creation, has been raised. 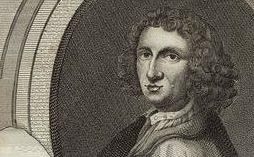 Grinling Gibbons (1648-1721), The Michelangelo of Wood, is without question one of Britain’s greatest decorative woodcarvers, celebrated for giving the medium of wood the ‘airy lightness of a flower’. In c1668-70 he created the King David Panel. This exquisite York-made work of art is of both incomparable national and local significance. Fairfax House wishes to take this once in a lifetime opportunity to acquire and save it for York, Yorkshire and the nation. 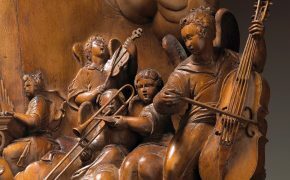 Gibbons’ panel is a remarkable and beautifully carved narrative high relief depicting a visionary concert led by King David, playing a harp, ringed by dancing cherubs and in the heavenly realms accompanied by angelic musicians and St Cecilia, the patron saint of music. Reflecting this master craftsman’s own love of music, the panel is a celebration of Psalms 148 and 150. Making the design even more special, the harp is incised with the armorials of the Barwick family signalling its associations with both this family and the Fairfaxes of Denton. 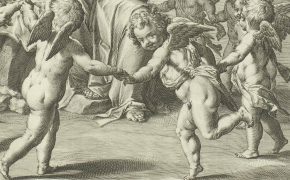 This artwork is believed to be the earliest known work by Grinling Gibbons. Greater still, it is the only known artwork from this master craftsman’s three formative years in York when he was learning his craft under carver and architect John Etty. The magnificent King David carving offers a rare and incomparable insight into Gibbons’ early beginnings and development before he rose to fame for creating artworks across Britain’s houses and palaces and became the ‘King’s Carver’. In the words of David Esterly, the leading expert on Gibbons’ work, ‘this sculpture is a key piece of evidence about the early trajectory of Gibbons’s career’. 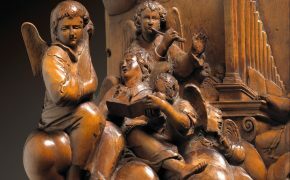 Indeed the York-made panel visually reveals how Gibbons was pioneering a direction radically different to any other carvers in England at this time, as well as celebrating the richness of York’s creativity and craftsmanship. Until now this artwork has been held in international private collections and this represented the first and only opportunity to secure it for the nation, and in David Esterly’s own words to ensure that it goes ‘on permanent public display rather than hidden away in a private collection as it has been throughout its life. With all the money now secured, Fairfax House has been able to buy this piece, and secure it for the nation in perpetuity. 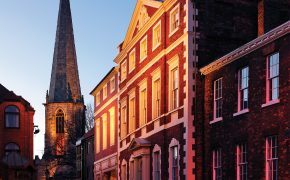 It is currently the focal point of the museum’s exhibition: ‘Made in York: Inventing and Enlightening the Georgian City’, and a lynchpin of its own collection cherishing Britain’s legacy of exquisite craftsmanship in the long-eighteenth century.